Sorry I didn't post last night but the reception at Dululu was basically non existent unless you stood out in the middle of the road. So on Friday night we had the best meal ever, we bought a roast chicken from Woolies (yes the vegetarian diet was out the door!) and Neil also got alot of markdowns and one of them was my favourite from Woolies a Danish pecan and custard pie. So we hoed into the roast chicken ... all 3 of us and that wasn't a pretty sight all of us leaning over the trailer table devouring this chicken ... later on when it was dark and in the tent I could barely contain myself when Neil was cutting up the pecan and custard pie, no sooner had he spooned his onto the lid and gave me my share that I gobbled mine up ... if you can imagine when you feed Kouta when he is exceptionally hungry he devours his food without breathing, chewing or looking at anyone but his food ... well that was me with the pecan custard pie ... I tell you it was not a pretty sight!!! So the next morning we left nice and early to catch the tailwind while it is blowing from the South East and before it turns to a more easterly. The first 2 hours just flew by and is pretty flat. Since we last came through they have redone the road and it is alot better as this road was pretty crappy 4 years ago. 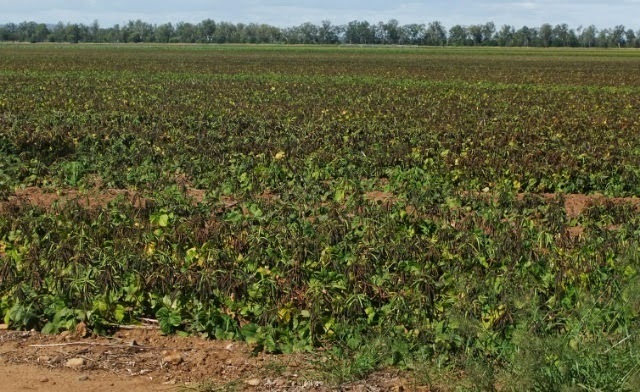 We had a bread stop near this field and we have seen a few of them as well as sorghum and cotton fields today but we couldn't figure out what this crop was ... so Ray & Flo do you know what it is? 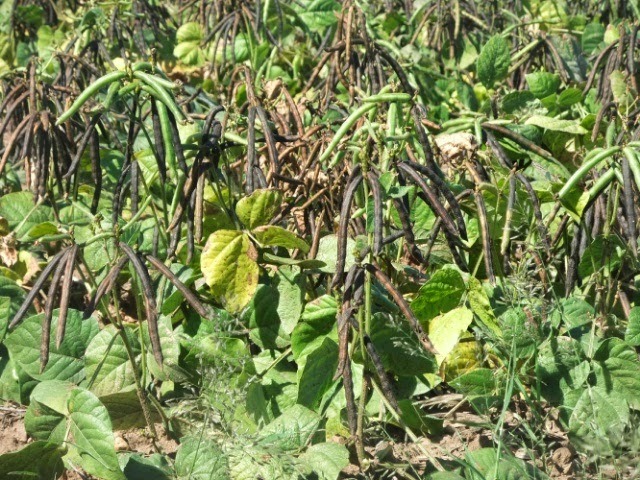 the pods are green and then they dry out and become brown. So we are riding along and the day is getting quite hot and we are guzzling down the water. It is around 25 degrees and it seems like this sort of temperature is going to stay. We make the comment that we may have to carry more water when we do the Clermont to Charters Towers leg especially if these temperatures stay in the mid 20's. So about 3km before we get to Dululu this 4WD towing a small pop top slows down and is looking at us and we are thinking 'what the ....' then it pulls in front and pulls off the road so we stop in front of it and the guy gets out and says something along the lines that we won't believe this but they are friends of Leanne Robertson and you must be her brother! 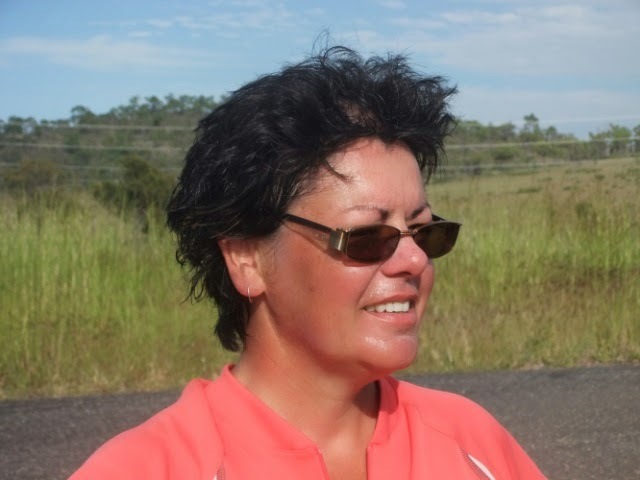 Then I remember Leanne saying that friends of hers are travelling around and jokingly we may come across them ... well of all the roads to be on they are on the same road as us travelling in the same direction and believe it or not actually staying at the same Dululu Rest Area as us!!! 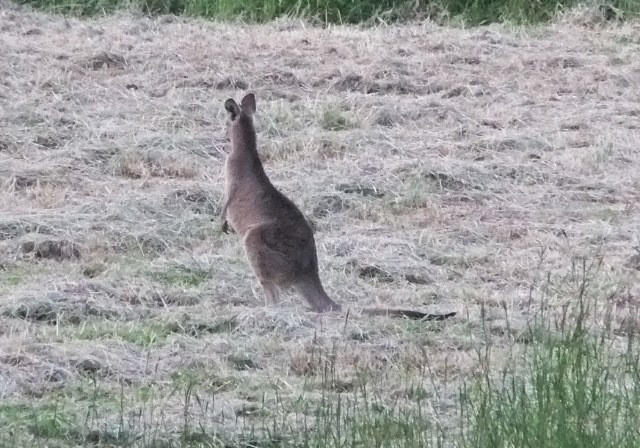 So we spent the afternoon chatting with them once we had set up and settled ourselves. 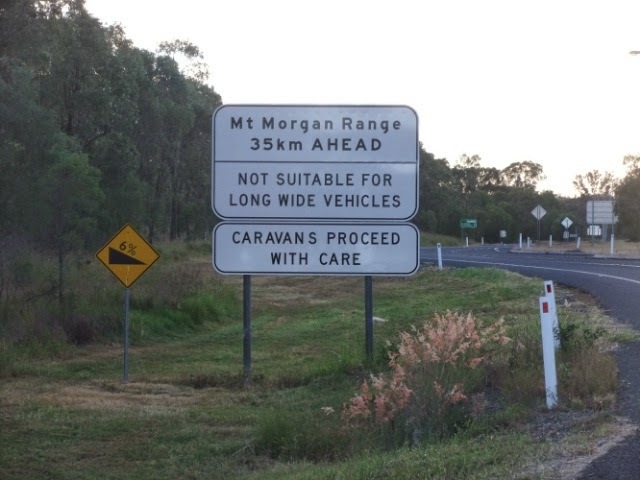 it is primarily to warn travellers that this range has a narrow road especially on the otherside once you leave Mount Morgan for Rockhampton. 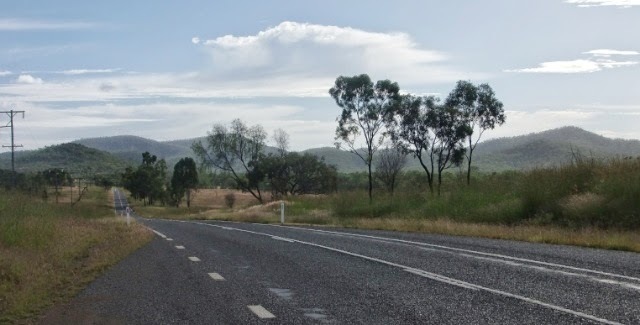 We find out later that part of the land has slipped and when you google it there is a big gap on the downhill to Rockhampton from Mount Morgan and they say there are a few detours in place! 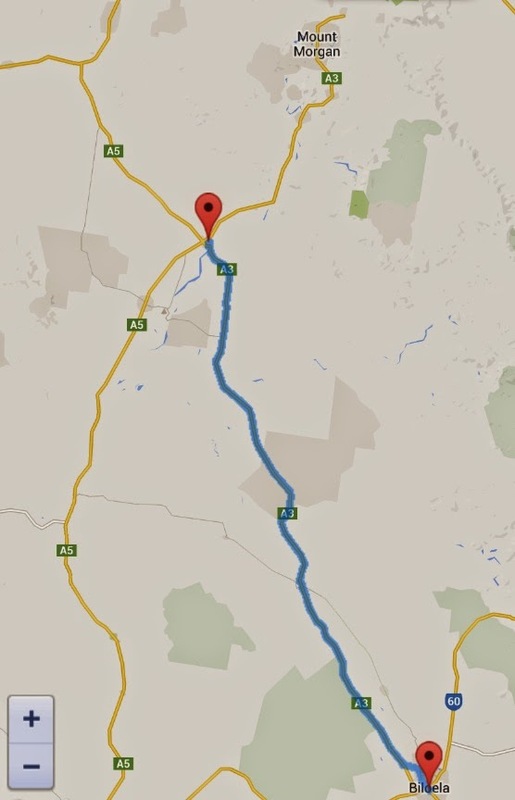 We had checked the profile and it is not too bad from the inland route. This is our 4th day riding and the legs are beginning to protest and one of the many winges I have about Australian hills is that you never know which one is yours when you look ahead! for the life of me I don't know which one is ours! Before the main climb which is at the end around the 21km mark we take a break and last night there were no showers at the rest area unless you paid $5. So I thought no a bird bath will do me ... well a build up of sweat, grime and grit sure builds up in your hair and when I took the helmet off and ran my hand through my hair it just stood up on end with all the dirt in it!!! So once you cross the Dee River you have a short steep climb for about 50m and then it settles into a nice easy gradient ... but that is not to say that it stays like that. This was a strange hill to ride and whether or not I was tired or sick off having to think about changing gears I found this hill a little challenging ... I think it was the latter as you were constantly changing gears to keep up with the terrain of going up or going along or going down ... I tell you I was just over it and too tired to think about what gear I should be in! So at 26km you think you are near the top but no keeping with Australian tradition you go down, up then down and then we are at the camp ground. 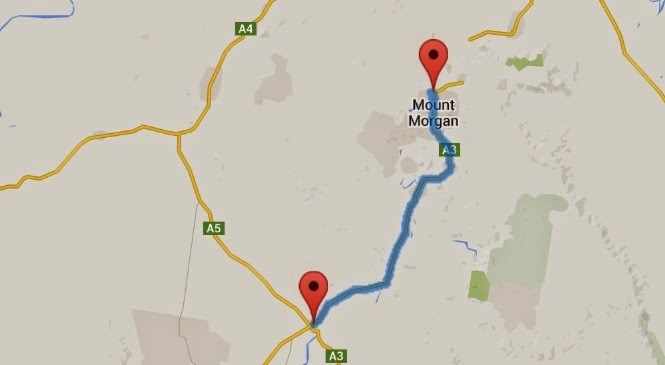 Neil rode into town later and there is still more up and down there is no flat ground anywhere in Mount Morgan. 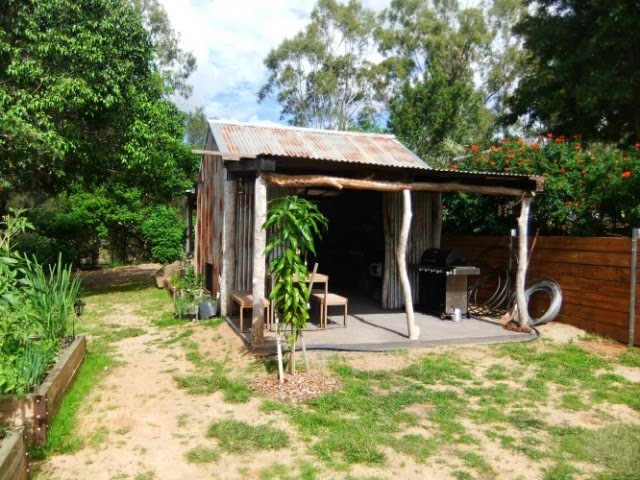 very rustic but spotless and has everything in it including a gas pizza oven, gas bbq, microwave, fridge etc. So we were very happy with it and suits all our needs. All we need now is a Woolies but alas Mount Morgan only has a smallish IGA. 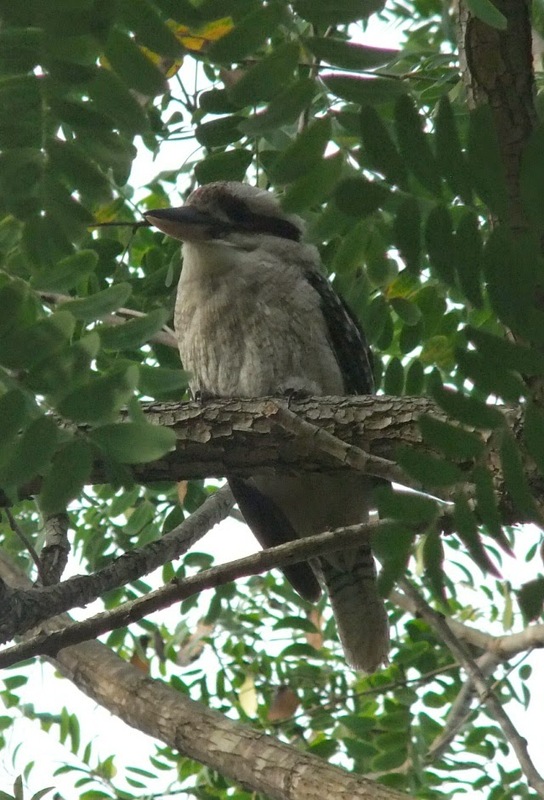 There is plenty of bird life here and the first thing I notice is there is a Kookaburra that hangs around alot so I think this noisy little critter will be waking us up at the crack of dawn every morning! So we are booked in for a week and will leave here next Sunday. We are having a break. Tomorrow we will look around town and find the No.7 Dam that is suitable for swimming in. All other dams are remanants of the mining days and are not healthy to swim in. In fact when we crossed the Dee river just out of town there was a sign saying no swimming, fishing or drinking of this water ... it might have something to do with the mining that went on here over a century ago. 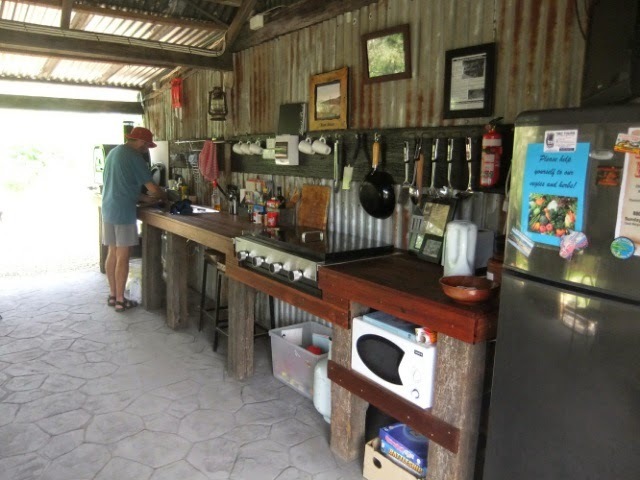 Mount Morgan is an old gold, silver and copper town. Will show more photos tomorrow.